Wide Awake at Night? Using Cannabis for Sleep Might Help. We know a good night’s sleep is important for our overall health. Without sleep, our emotional and physical well-being decline. 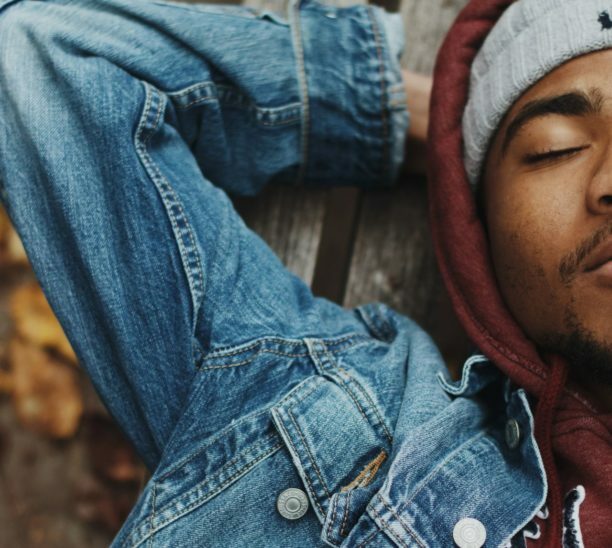 There’s evidence that cannabis can help with sleep. If things are going well, we spend 1/3 of our day at rest, but when we’re overly busy or unable to unwind, that amount can be much less. There are a variety of factors that interfere with good sleep: an overactive mind, too much light, our electronic devices, caffeine, alcohol, noise, overstimulation and physical issues like pain. 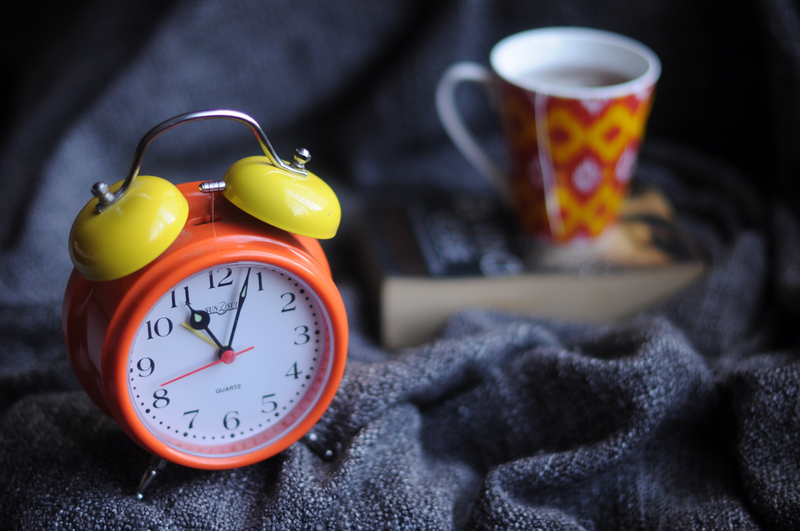 If you’re reading this blog, you probably have struggled with good sleep. 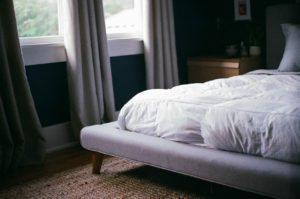 In Michigan, cannabis can’t be prescribed for sleep specifically, so while you might use cannabis for your pain or another issue, it could help with sleep, too. We have to preface this blog with this: there hasn’t been enough research on cannabis on sleep. Because cannabis is federally illegal—the institutions that conduct sleep research can’t do that work because of federal funding. Please discuss your cannabis use with your physician, too. This blog is for information only. If you want to try cannabis to help with sleep issues you need to first focus on your sleep hygiene. 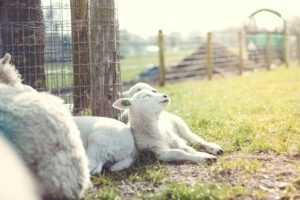 Some traits of good sleep hygiene are mentioned above and theoretically, they should help you sleep. If you’re like 30 percent of all Americans and you’re still sleepless, that’s when you probably have turned to sleep medications or herbal supplements. About 4 percent of all American take a prescription sleep aid and those pills have side effects and issues with overuse, as well as rebound insomnia when discontinued. Plant-based medicines tend to be gentler and don’t have the same harsh side effects of synthetic drugs. There are three properties of cannabis that are involved in improving sleep: THC, CBD and terpenes. THC is the psychoactive ingredient in cannabis; CBD is non-psychoactive has a calming effect and can be used to counter THC in cannabis and terpenes are the part of cannabis that gives it a distinctive smell like pine, lemon or cheese. Aromatherapy is often used to help with sleep, essential oils like lavender are known to help relax people. The terpenes in cannabis can help do the same thing, but you ingest it, rather than smell it. You can learn more about terpenes profiles and strains here. Together THC, CBD and the right terpenes have a relaxing effect that can help induce better sleep. Finding the Right Dosage is Crucial to Success. We’re big fans of microdosing cannabis. It’s the best way to find out what works for you and to avoid some of the after-effects of consuming too much cannabis for sleep. Those effects can include dry mouth, red eyes and feeling groggy in the morning. Start small, one or two puffs if you’re smoking and if you’re using a tincture or an edible—try 5 mg to start and see how it works for you. 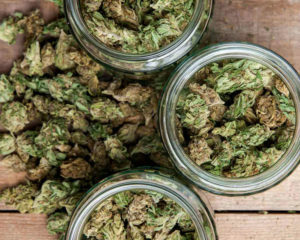 There’s a lot of talk about sativa or indica and whether a strain really matters. 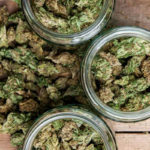 In the case of choosing cannabis for sleep doing some research about strains will help you determine whether what you consume will help relax you or make your sleep issues worse. Leafly has a great strain guide and your caregiver or budtender should be able to give you some direction, too. Keep in mind, indica tends to be more relaxing than sativa, and a hybrid for sleep should be indica dominant. We tend to favor edibles for sleep only because of their long-lasting power. While an edible will take longer to take effect, it stays with you longer, too. You’ll want to consume your edible about 90 minutes before you hit the bed so the relaxing properties are working. If you choose to smoke, you can do that right before you brush your teeth and hop between the sheets and don’t smoke in bed! It Might Help with Sleep Apnea. Sleep apnea is a condition where the sleeper has frequent obstructions of breathing that can last from a few seconds to several minutes. Sleep apnea causes a person to wake up throughout the night and disturbs the sleep cycle. Some people stop breathing up to 30 times in an hour. People with sleep apnea are prone to headaches, daytime drowsiness and irritability. There has been limited research on using cannabis to help with sleep apnea—a small study with 17 people showed promise, but it’s not enough participants to give us faith in its result. 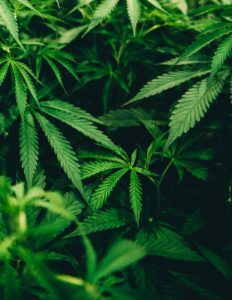 What researchers are learning, though, is that THC can help restore breathing stability with serotonin signals to the brain. You Might Miss Them if You’re Trying Cannabis for Sleep. One of the biggest complaints people have about using cannabis for sleep is that interferes with dreams. Dreams happen in the REM cycle of sleep, which is the last cycle of sleep during the night and we know cannabis interferes with that process. Cannabis that is high in CBD and lower in THC might help restore some of your REM dream sleep and help you relax more. 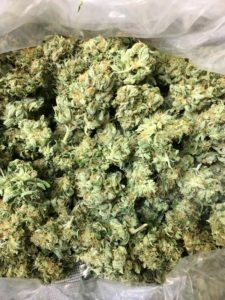 If you’ve had trouble sleeping in the past, then you know that experimentation is key to getting it right and cannabis for sleep is much the same. You might have read about CBD, or heard people talk about it. When discussions about medical marijuana come up, CBD often does too. CBD is becoming more well-known especially for pain relief, seizures and anti-anxiety applications. But, since there’s a bit of confusion about what’s what, here’s the quick low down. Please note, this isn’t medical advice, consult your physician for specifics. CBD is short for cannabidiol (pronounced canna-bid-eye al) a naturally occurring cannabis compound that has promising medical benefits. The most popular feature of CBD for many patients is that it doesn’t make them high or feel stoned. In fact, it actually balances out psychoactivity of THC in cannabis, so if you ingest too much cannabis, you can take away the edge with CBD. CBD comes from two sources, both in a cannabis sativa plant. The male cannabis sativa is also known as hemp. Hemp isn’t psychoactive. You can’t smoke or ingest hemp and get high. 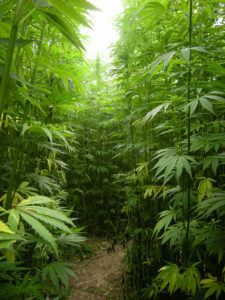 While both marijuana and hemp contain CBD, the CBD purchased from public shops and online is from hemp. If you’re feeling wronged—hold on! There isn’t much difference between CBD derived from hemp and CBD from marijuana—so if you don’t have a medical marijuana card, your hemp-made CBD should serve you well. 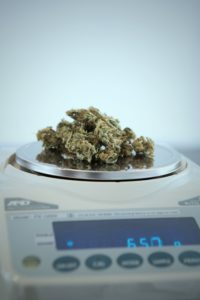 It’s worth noting that CBD isn’t available in all states, due to the close connection to marijuana. CBD also comes from the female marijuana plant. That’s what you’d buy from your caregiver or dispensary and it is considered medicine. The combination of THC and CBD in a marijuana flower helps people with a variety of symptoms and medical issues. While many cultivators grow for strong THC, there are some strains that are known for being higher in CBD. They include: ACDC, Cannatonic and Ringo’s Gift. Or just ask your caregiver or budtender for a high CBD/low THC flower or product. CBD comes in tinctures, balms, creams and other forms. The human body is home to the endocannabinoid system. This rather unknown, but important part of each of us plays a big role in regulating our physiology—and the endocannabinoid system affects our mood, metabolism, blood pressure, bone density, intestinal health, energy, stress, hunger and more. When the receptors aren’t working, they need help (this truly isn’t a medical term) and a dose of a cannabinoid or CBD can help. Why have I never heard of the endocannabinoid system before? 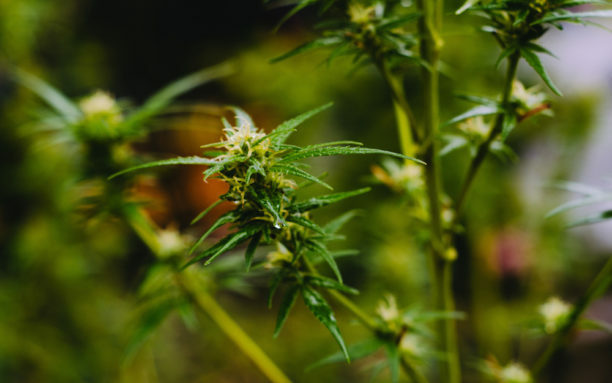 Unlike other parts of the human body that have been researched since the time of early medicine, the link between THC and the endocannabinoid system was only discovered in 1964 by Israeli pharmacologist-researcher Raphael Mechoulam. Without going too deeply into the physiological mechanics—the endocannabinoid system is a neurological receptor and transmitter system that balances many bodily functions. 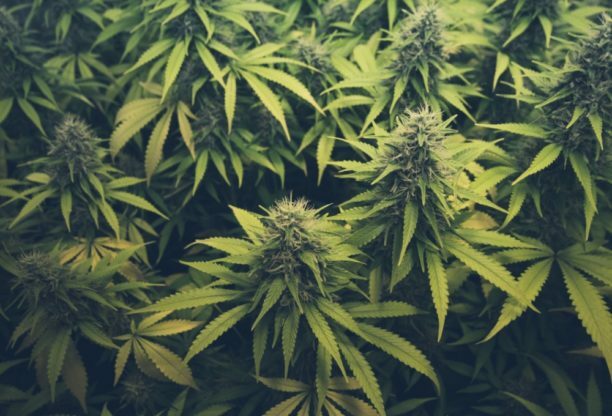 It is found throughout the human body and regulates a number of functions—which helps explain why cannabis can help with a wide variety of illnesses. Think about how most medicines help with only one or two maladies—cannabis helps with dozens. 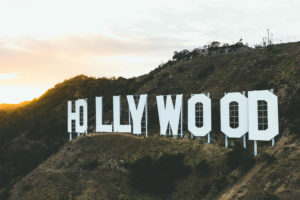 While there are no miracle drugs and CBD has its detractors, people are finding it helps with quite a few things: anxiety, acne, hard to treat epilepsy, stress reduction, energy balance, multiple sclerosis, PTSD in adults and children, sleep, appetite, immune function, opioid withdrawal, quitting smoking and possibly the spread of some kinds of cancer cells. When doing research for yourself, look at the PubMed database through the National Institutes of Health, there are a number of research documents you can review for yourself. Just put CBD in the search box. Keep in mind that CBD is not yet approved by the FDA, so it is up to consumers and their physicians to determine dosages. Not everyone likes to smoke cannabis. The act of smoking—taking an irritating substance into delicate lung tissue is one of the more unhealthy aspects of marijuana use. 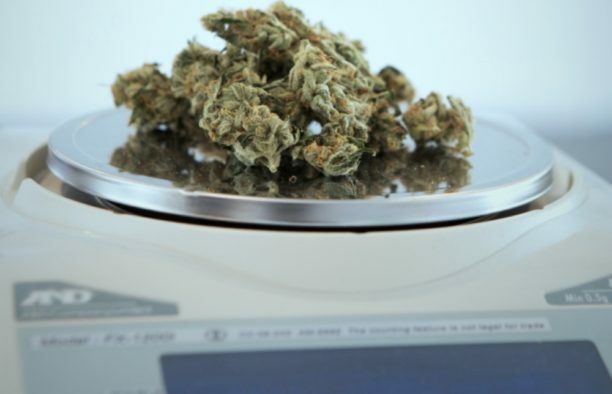 It also makes it difficult for physicians to embrace marijuana as medicine. People with asthma or other lung issues are sensitive to any kind of smoke and smoking is problematic for children who need cannabis medicine. So, when the Bureau of Medical Marijuana Regulation threatened to close Michigan’s dispensaries earlier this fall, people were alarmed. Michigan’s caregiver model, falls short when it comes to highly targeted patient needs. Not all caregivers have the ability to grow multiple strains or to create non-smokable products that meet the needs of patients. At present, there are over six times more patients than caregivers in our state—38,000 caregivers and 218,000 patients. 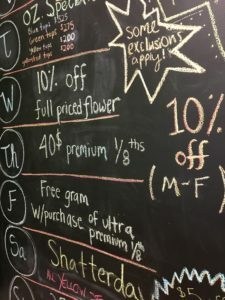 The availability of a variety of cannabis products is vital to patients in Michigan. Whether it is topical ointments and creams, edible marijuana, tinctures, capsules, vaporized concentrates and other items that aren’t smoked, patients need choices. Just like any other medication, marijuana comes in different potencies, strains, and methods of ingestion. It takes experimentation to get the medicine to work right. 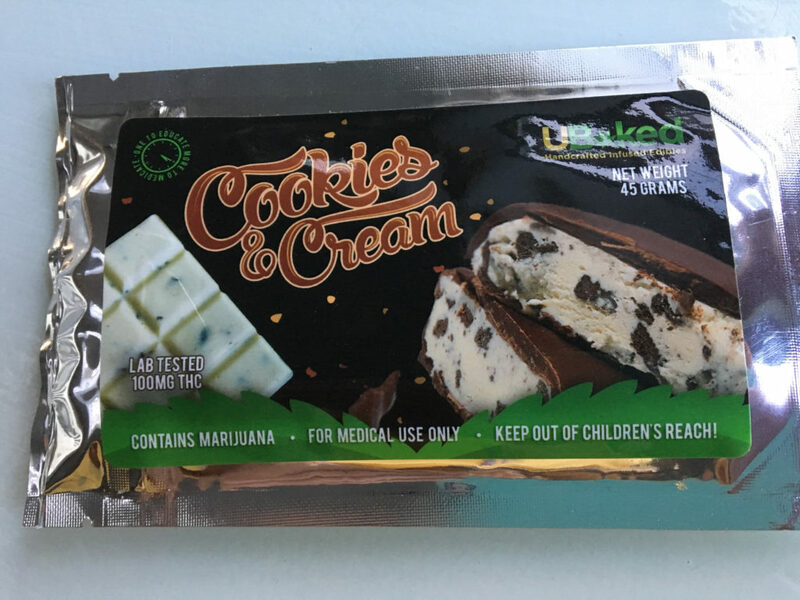 Edibles marijuana or “medibles” are a popular option for cannabis patients, they tend to be a bit less expensive than flower and the effects are longer-lasting. They can be easily dosed, too. 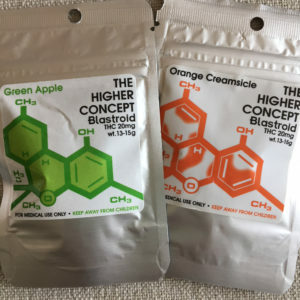 The packaging on these products provides the THC potency and that’s where experimentation begins. 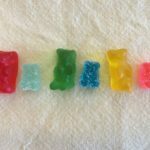 It’s important to keep two things in mind if you are testing an edible for the first time—a little goes a long way and it takes time to affect your system. 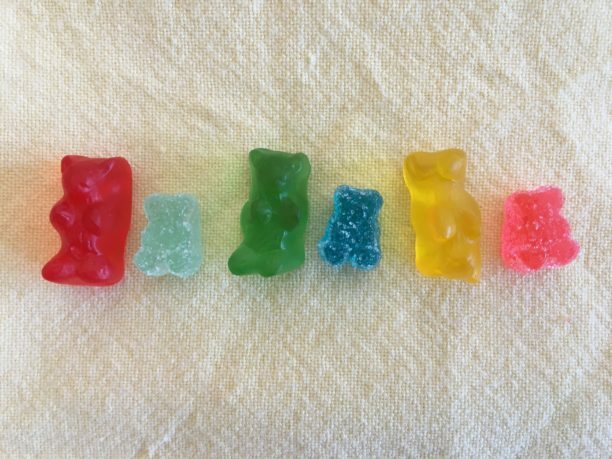 Before you TRY EDIBLE marijuana, read the label and do your math. 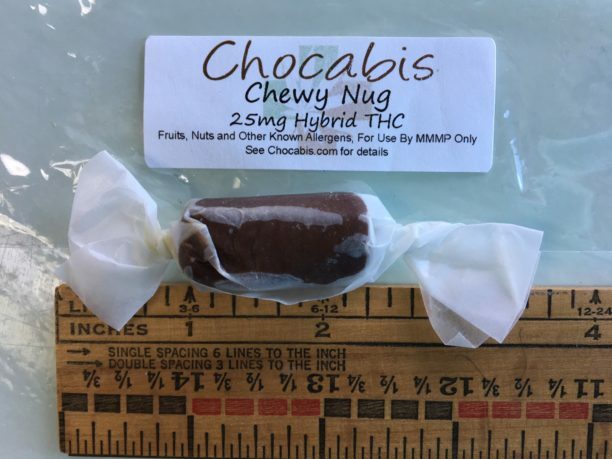 Novice nibblers need to look at something around 5 mg, so if you have 100 mg THC potency bar, cut it into 20 pieces. This isn’t always easy, and there is the temptation to eat a little more. Who eats 1/10 of a brownie? 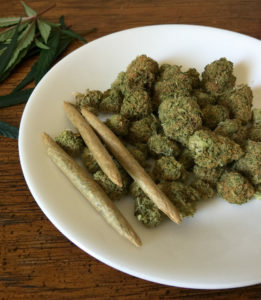 Resist the temptation—too much marijuana will make you feel odd, heavy or fluttery in the chest all the way down to your legs and perhaps you’ll have a hard time focusing with an overactive mind. Eating too much won’t kill you, but it might give you a couch-locked experience (as in, you can’t get off of the couch). It also might negatively affect your opinion and ideas about cannabis, so don’t go there if you are just starting out. There’s 120 mg of THC in this little chocolate bar. If you’ve been smoking or vaping marijuana regularly, try something in the 10-15 mg range. Again, you’ll need to do some math, and we suggest using a calculator to save yourself from too much or using too little. 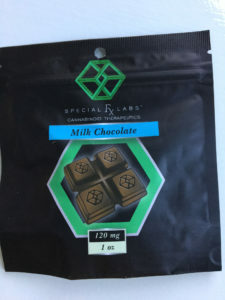 This lovely mint chocolate (right) has 120 mg in an ounce, which if you are shooting for a 15 mg dose, you’ll need to cut it into 1/8s. For the chew (above) you’d need to cut it in 1/3s or in half for this mid-range dose. If you’re a long time card holder (yay, you) then know how to dose. 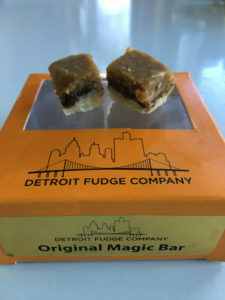 You’re probably a 25 mg to 40 mg user, so you’ll get a nice size bite of the Magic Bar (below) with 165 mg of THC, you’ll eat about 1/4 of this tasty treat. There’s 165 mg of THC in the Magic Bar. We cut it into 12ths. Edibles take longer to kick in, sometimes an hour or more, so resist the temptation to have another bite, no matter how tasty the treat. They last longer too—up to eight hours—depending on your metabolism and body structure. 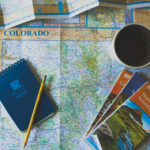 With practice and correct dosing, they’re great for long-haul activities like a hike, bike ride or even a long airline flight. If you don’t like thinking about this when you’re ready to say goodbye to pain or anxiety, cut up your edible up in advance and repackage it for the future. Microdosing is another way of dosing your cannabis medicine. Many patients have had success with small doses—5 mg of a product can give people help with their anxiety, create a sense of well-being or help with relaxation. With a tiny dose, the psychoactive aspect cannabis is diminished, but not completely gone away. 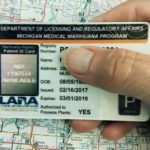 Across the state of Michigan, petitions are circulating for adult-use marijuana and we know that having a persuasive argument and accurate information about the plant are critical to success. Presenting facts, data and stories are necessary for moving people from “on the fence” to signing–and voting yes–for ending prohibition. This is the first in a series of posts to help you talk the talk about cannabis. Throughout history, cannabis has been used in world cultures as medicine. It is difficult to find extensive modern American research about the efficacy of the plant because of its Schedule 1 status. Even for medical research, it is federally illegal to possess the plant. But, there has been some recent research work in marijuana-legal states that will help with building the depth of clinical trials. Recently, the American Legion wrote to the President asking him to de-schedule cannabis so it can be further tested for use by veterans. Even popular health sites like WebMD acknowledge that cannabis shows promise for a variety of health ailments. 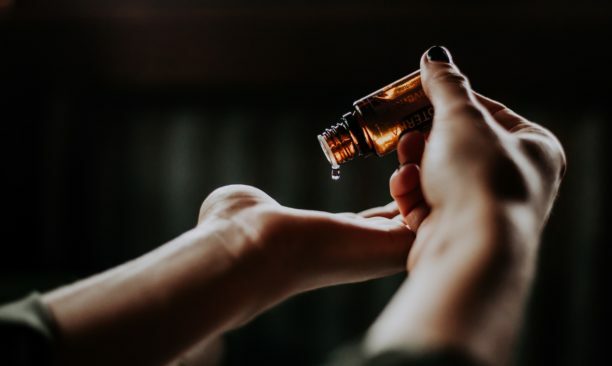 These include slowing the growth of some cancers, relaxing the muscles of Parkinson’s Disease patients, helping people with digestive disorders like Crohn’s Disease and managing chronic pain. Each of the 29 states that allow medical marijuana have different guidelines for what kinds of conditions the medicine can be prescribed to help. We’ve heard positive anecdotal stories about cannabis and difficult health situations like self-harming autism, Post Traumatic Stress Disorder and Multiple Sclerosis. For many cancer patients, the only medicine that gets them through chemotherapy is cannabis. 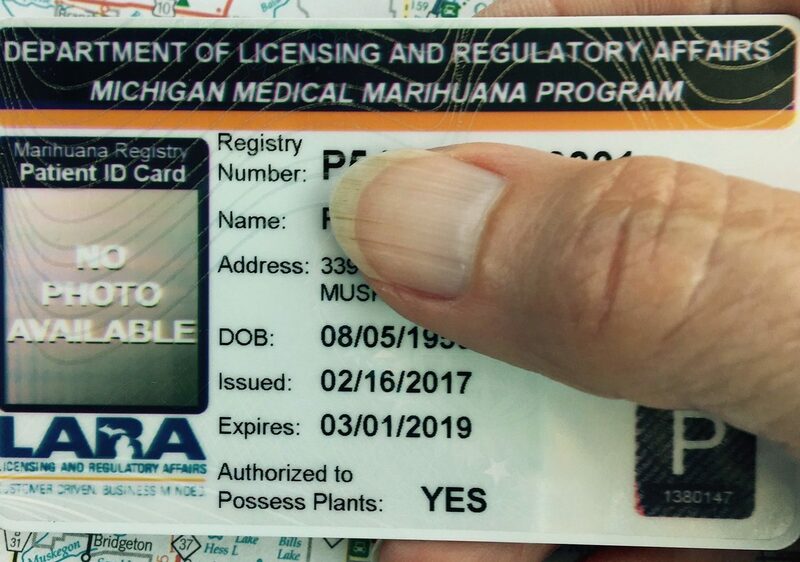 While cannabis is available to citizens in Michigan with a doctor’s recommendation, we think that adults, regardless of reason and without the intervention of a physician, should be able to access marijuana, as they might any over-the-counter medicine or health supplement.